I wanted to write about sugar waxing since a long long time and now it seems that the time to give some opinions in my reviews has come. As you might know, sugar waxing is an ancient method of removing unwanted hairs that was used by ancient Egiptians and is traditional in oriental culture. I was very interested in it years ago, but I couldn’t find a salon where I’d try it at that time. First, I was very curious and I tried to cook the paste at home (it’s easy and very green regarding ingredients: sugar, water and lemon juice), but the experiment was unsuccessful because I heated it too much. You have to be very careful about the temperature and you also need skills to get used to the concept. So, absolute no for me. Next, I tried the brand Sugar stripease which was quite a satisfaction, if I don’t consider the time and that you must have quite a lot of experiences in the technique. Otherwise the main downsides are: time and skill. So, I’d give it a 3 out of 5. The equipment is all included and is very good, because you can reuse the paper strips. If you have sensitive skin this product is quite gentle, especially in comparison with standard waxing. 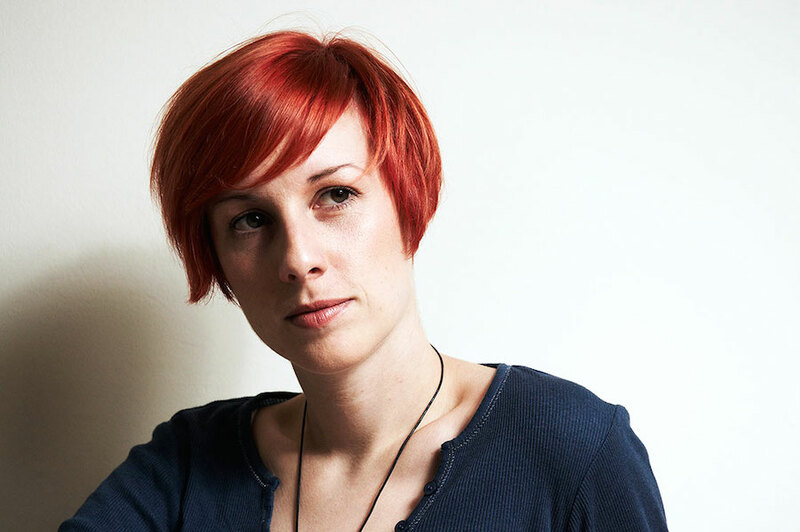 In the meantime I also found a very good salon with a fantastic aesthetician who is very careful & professional, especially good if you have sensitive skin. The sugar technique that a professional can give cannot be compared to the one at home, except if you are very skilled and if you don’t have any problems to remove the strips on yourself, especially on sensitive areas. So, for me the technique done at salon is far the best and the quickest, although quite expensive. But the results are definitely worth the money. 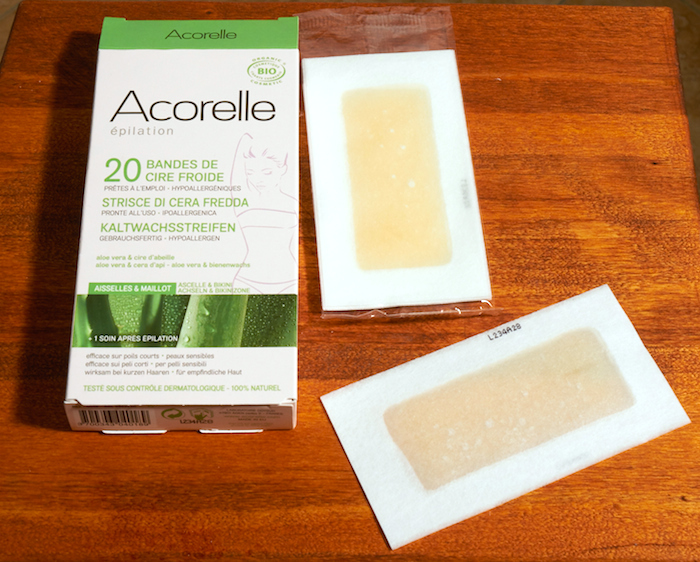 Since I was very tempted by Acorelle products too, especially when I saw some of their products that caught my attention because the concept was a little bit different. I thought, if this will work for those times when you have less time, it’d be perfect. So I gave a try to all products from their waxing line. I’ll review 2 of them in this post. 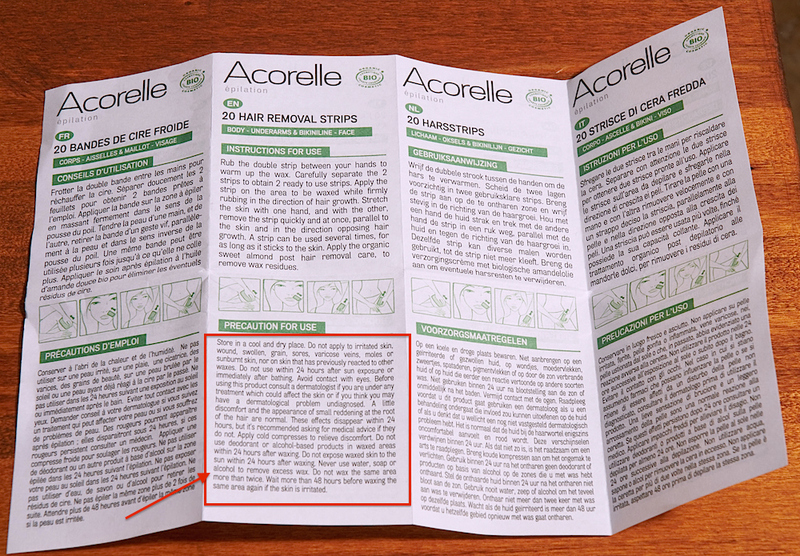 There are 20 strips in the package, but they are packed as 10 because they are 2 sticked together. So when you want one strip you have to use both of them. I will go straight ahead. I am absolutely disappointed with this product because I expected a quick and good solution. I don’t know who can love this product, in sense of which kind of hair can be removed… I say this because I have first warmed the strips enough and when applied to perfectly dry skin the feeling was exactly like applying an old scotch tape that doesn’t adhere anymore. The wax, that resembled to the glue and not to sugar wax remained in small quantities on my skin, while the strip almost fallen away because it didn’t adhered well. It removed just a few hairs. I had normal thick hair of medium growth. So here are the remained new strips that I won’t use again. The problem was also that the glue was so sticky that you couldn’t remove it except with lots of oil. Comparing to natural sugar wax I wouldn’t even say is natural. If any of sugar wax remains on the skin it goes away easily and quickly with warm water. I was quite shocked to read this, admit that I haven’t read the small text at first and then I was surprised how that it cannot be removed simply with water from my skin. The effect is really unpleasant, like if you have some kind of strong glue attached everywhere, even on fingers and that cannot go away. There is a small ampule of oil included but it wasn’t enough to remove the remained wax. Here is the picture of my wax after using it for the first time. I have just put the spatula inside because it was already full of wax that dries very quickly. As you can see how it has dried, it looks really a mess. As you can see from the spot and in the instructions is written too that you have to heat it only in microwave. I don’t have it so I did it in hot water and it was good, I obtained the desired honey-like texture. The process took me a lot of time, around 15-20 minutes until everything melted. You have to pay attention that the water doesn’t enter in. When you start using it, it starts to dry very quick and every single application is removed and cannot be reused again like when sugar waxing. It’s not a paste. It is liquid and you apply it on desired area and the leave it to dry. When dried you can remove it. But when it was dry the hair didn’t removed very well, especially on the legs. I managed to do the bikini, but it’s also quite painful and of course is not so good as in salon. After you have a lot of those dry pieces of wax left (couldn’t do a picture because my fingers were all so sticky and was hard to remove off the dry wax). It is a good idea to not use strips, but unfortunately for me didn’t worked at all. And the composition remained on the skin; the same like on the previously reviewed strips. You need the oil (which is not included!) to remove it from the skin. On the legs I had minor hairs 2-3mm and they weren’t removed. It was like the wax almost felt off when dry. It’s not similar to sugar waxing paste at all, in case you expect it. This is not my finished review. 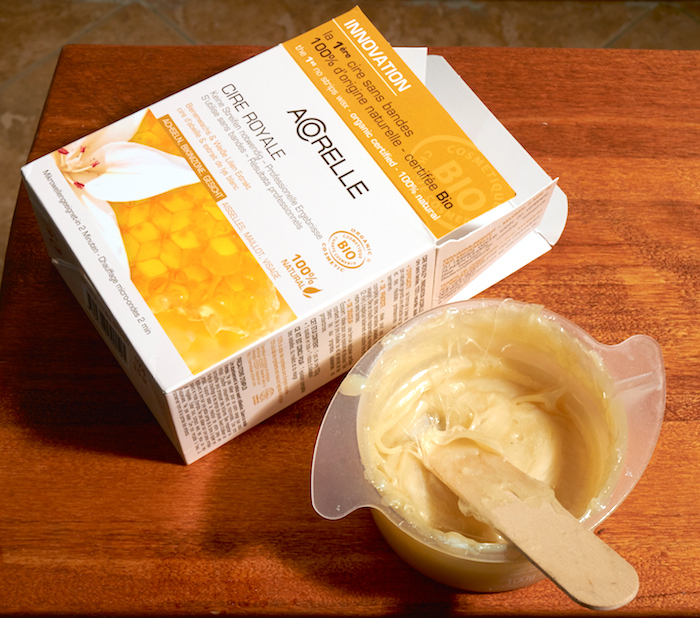 I still have 2 products from Acorelle to try. Yes, I really wanted to give those products a chance. Will see in the 2nd part of the review. And you, what do you think about sugar waxing? Which one do you use and like best? Tell me more about your method please. Have you used any of these products?